Driving by itself carries many inherent risks to the driver and the public. Drunk driver accident. But driving under the influence of alcohol gravely increases such risk. Its danger and the consequential actual losses to life and property are not only imagined. They happen. Almost everyone has witnessed them happen. Road accidents due to DUI has become part of our collective human experience. Needing a DUI Attorney is not uncommon. Drinking alcohol remains legal in our jurisdictions. One may bask on alcohol only if he does not bother another, much less the public. One usually has an unbridled right on what he does in private. But not on what he does in public. When public safety is in question, the state reserves the right to restrict one’s actions. Driving under the influence of alcohol is a question of public safety. One’s civil liberties may take a backseat in this instance. Because a higher interest is at play in here. So this is the justification why the state can rightfully pass legislation against DUI. Really, at what point does alcohol influence a driver? So, you think people drink and drive then they submit to the chance of getting arrested? No! Not that simple. Drivers would argue that drinking alcohol does not necessarily mean being influence by it. Crap, but it is a legitimate argument. Therefore, states have standard threshold on Blood Alcohol Concentration (BAC) level. In the US, for 21 years old and above, driving with BAC of 0.08% or higher already qualifies as DUI. For under 21 years of age, the BAC state limits range from 0.00 to 0.02%. Detecting and apprehending drunk drivers are always a challenge. Why? Because police officers cannot just go around flagging down cars. Much less, they cannot just compel the drivers to be tested on their BAC. Otherwise, people will cry foul for being searched without warrant. But commercial vehicles or public transportations are different. They are governed by the laws on contract of carriage. Public interest is a little more involved in them. Thus, they can always be flagged down and their drivers randomly tested for DUI violations. 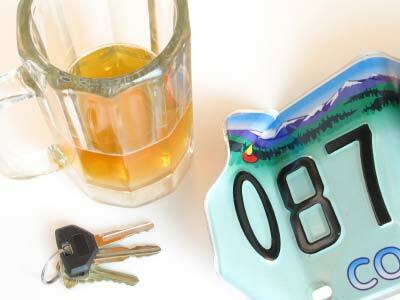 So, when can be a driver of private vehicle be tested for DUI violation? When there is a reasonable suspicion that the driver has just drunk an alcohol. Police officers may search in plain view for alcohol cans or bottles. Smell of alcohol can also raise reasonable suspicion. The driver’s behavior may also be indicative of being drunk. The standard operating procedures vary from state to state. In some jurisdictions, they will conduct physical test like standing on one leg. Others require the apprehended individuals to walk on a straight line and turn around; some will be required to count backwards. In short, police officers would conduct probing inquiries first. If they find reasonable suspicion, they may require the driver to voluntarily submit to physical examination. If the driver refuses, they may use reasonable force to subject the driver to such test. And if they find that the driver reaches the BAC threshold, they may arrest the driver. If drunk driver causes injuries, he may be civilly liable to the injured party. Furthermore, he may be criminally liable for DUI. Thus, on top of having to pay civil damages, the driver may face imprisonment, fines, and revocation of license. It is best for anyone involved in DUI accident to consult a personal injury attorney.